Get the reliability, quick-draw action, and safety you need with BOOMSTICK ACCESSORIES comprehensive range of properly-designed 360° SWIVEL PADDLE HOLSTERS. This black polymer model is designed with respect to Military, Law Enforcement and Tactical Specs, and perfectly accommodates your GLOCK 17 22 23 31 32 34 35. Included Allen Key also let you easily adjust for your perfect angle, or upgrade to our Drop Leg Platform or Full-Grip Belt Clip for even more carry options! The simple solution. Enlist BOOMSTICK ACCESSORIES range of properly-designed paddle holsters to get the reliability, ease-of-use, and safety you need! Effortless quick draw action, total simplicity, and tactical-grade quality come together to ensure you get a simple solution for all your pistols. This RIGHT HAND model is designed to accommodate your GLOCK 17 22 23 31 32 34 35 and the 360° swivel action makes sure you get the best grip and draw for YOU! Built for security, our line easily and comfortably just clips on your trousers, securing your pistol-draw even in the most urgent situations. Equally at home in the field, on the streets, or even in combat… This black high-grade polymer paddle holster is the simple solution you’ve been looking for for all you handguns. 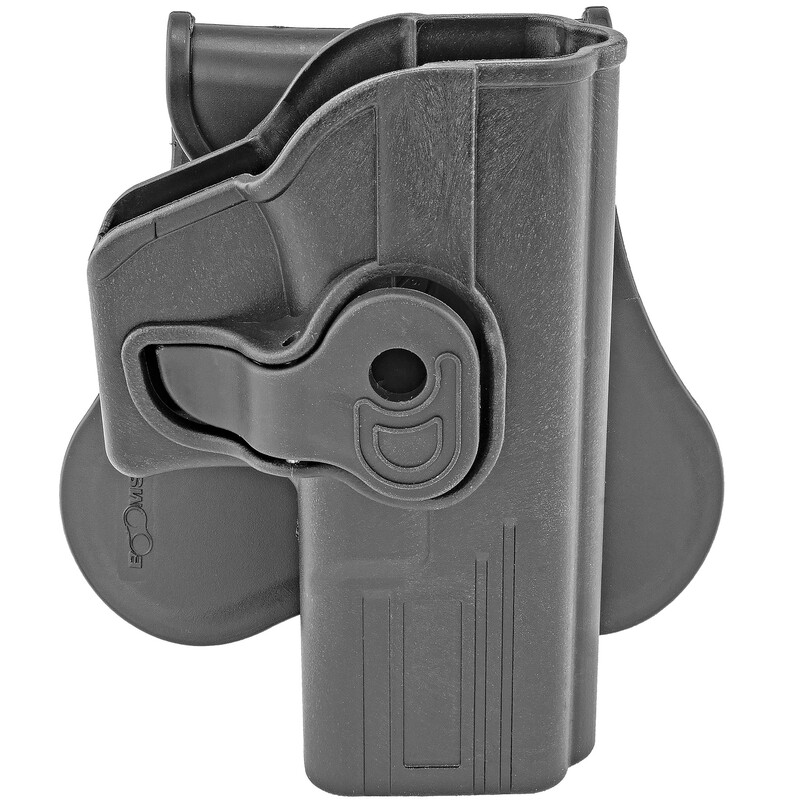 Plus, the included Allen key allows you adjust the angle easily, or to detach the holster element and upgrade for use with our tactical Drop Leg Platform or our Full-Grip Belt Grip. And if you happen to carry several different firearms to the range, this also allows you to simply switch out holster, without the hassle of changing your whole rig. Order Yours Today! Start enjoying the ease, security and comfort of a paddle holster for ALL your favorite weapons, at a price that offers real value. Not to mention that all BOOMSTICK ACCESSORIES products are designed and built with the GUN OWNER in mind! Ready for action. Ready for anything. Enjoy your new rig! Color is black. Fits Glock 17 22 23 31 32 34 35. Overall dimensions are 5.00" x 4.50" x 3.25".